A Napa Valley worker sorts a bin of Cabernet grapes to hand remove sticks and leaves, preparing grapes for the crusher. In 2010 and 2011, the struggles of wineries up and down the state resonated in all corners of the industry.The weather, front and center, was a force to be reckoned with and it sorted the winemaker pros from the rest of the pack. Too much rain, too much cold, too much heat was the hue and cry, while our friends in France and Europe took advantage of better weather conditions to gain an advantage in reviews and sales. Their current wine releases show bigger imports into the U.S. The crop for 2012 will change all that. From Temecula to Washington, west coast vineyards and wineries are grinning from ear to ear about the results. The bad news this year is confined to France and Italy. French wine production has slipped 20 percent to the lowest in 40 years with the double whammy of bad weather and disease, especially in the Champagne and Beaujolais regions. Italy had a steaming hot spell. White sparkling wine grapes suffered a 20 percent drop in Italy’s most popular sparkling wine varietals. Results are no better in Piedmont, Tuscany, Puglia, Veneto and other grape growing regions. Add in rising labor, processing costs and the recession, and this year could rival the terrible 2002 crop. New world wines on the coast will be the best in years. Washington re-ports the completed growing season was near perfect. The quality was exceptional and quantities were way up. Up in Spring Mountain, Napa Valley, they loved the clockwork consistency of the season. The fruit was beautiful and abundant. Perfect clusters were the norm. Over in the Dry Creek District of Sonoma, Jim Pedroncelli of Pedroncelli Winery wrapped up the 85th harvest with a “bounty of grapes, and a seamless year. We were truly blessed to have such a great year,” he joyfully asserted. His yields were up 20 percent. Paso Robles reported some spectacular fall weather allowing extra ripeness and development into the vines. Cass Winery has 150 acres planted, just east of the Templeton Gap. It specializes in Rhone varietals like Syrah, Grenache, Viognier, Marsanne and Rousanne. Owner Steve Cass is expecting more grapes for his hand picked estate varietals, now about 35 percent branded with the Cass name. The rest is sold off elsewhere in the market. All this evidence augurs well for the west coast 2012 vintage. The juice still needs to go through fermenting, aging and bottling and no one can really know, but when you see this great year on the shelves in a couple of years, I would advise you consider buying it by the case. Bacchus Wine Market downtown San Diego has a Rhone Valley Tasting Nov. 24 from 2 to 8:30 p.m. Cost is $20 for seven samples of Syrah, Grenache, Mourvedre and others. 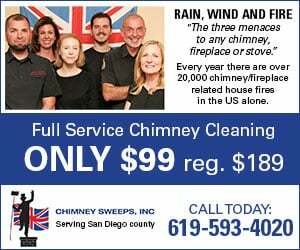 Call (619) 236-0005 for details. At Vintana in Escondido, a DAOU Wine dinner is planned for Nov. 25 at 6 p.m. Wine makers Georges and Daniel Daou will be there for the five-course dinner with their wines. Cost is $85. Call (760) 745-7777 for an RSVP. 333 Pacific in Oceanside has a Hendry Ranch wine dinner set for Nov. 27 at 6:30 p.m. Special guest is owner Mike Hendry. $75. Call (760) 433-3333 for reservations. South Coast Winery in Temecula unveils its Tree Lighting Celebration in their courtyard Nov. 25 at 6 p.m., with holiday music. Details at (866) 994-6379 ext. 7210. The legendary Silver Oak Napa Valley and Sonoma wines will be poured at Holiday Wine Cellar in Escondido Dec. 6, from 6 to 8 p.m. $20; includes a selection of gourmet cheeses. RSVP at (760) 745-1200.